Trifle was invited by a leading West End theatre producer based at the Lyceum Theatre in Covent Garden to completely redesign their 240 sqm work environment. 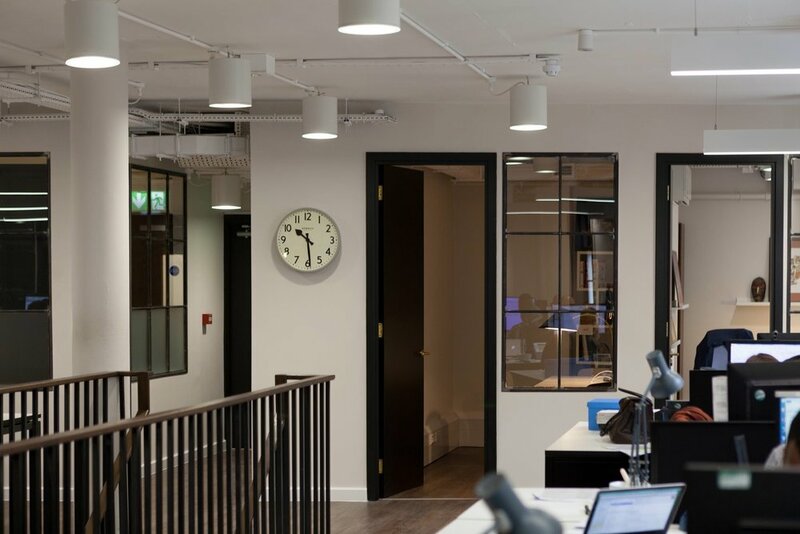 As the new space would span two floors, the design included a bespoke staircase in the centre of the space to assist with the flow between the work and office space above and the meeting rooms and informal spaces below. Trifle were allowed to embrace the theatrical in creating a space that married the practical solutions of a small but busy work space with the drama befitting the history of the setting. The project was completed in March 2016. This project was carried out in collaboration with Optimum Contractors.